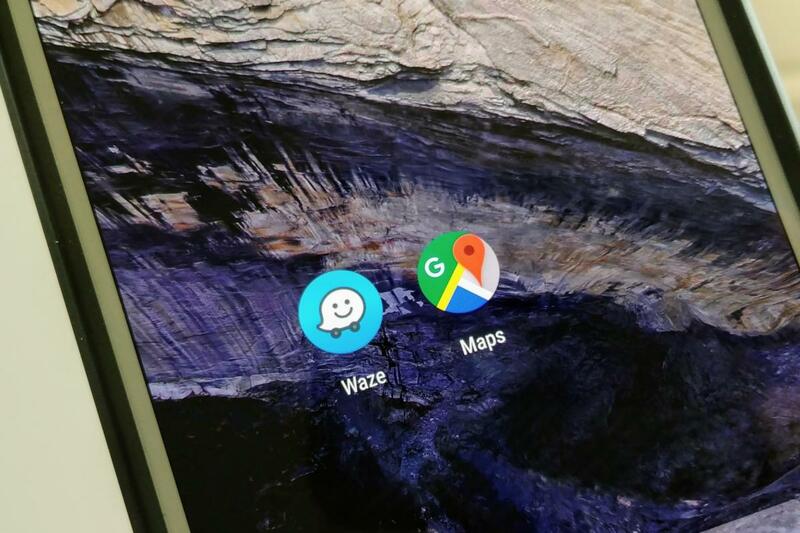 Google Maps vs. Waze: Which should be your go-to map app? Each app offers unique features to help you conquer survive the commute home. Which should you use, and when? For a long time, it was unthinkable that there would be a better mapping solution than Google Maps. It was so dominant, that when Apple switched over to its own mapping software with iOS 6, many went into a downright panic. It made the Android all that more appealing. Then, along came Waze. The Israeli startup innovated in several ways that made Google Maps feel stale. Real-time traffic alerts from actual humans. Routing that can more intelligently direct you around backups. And a few drops of fun with some gamification and voice directions courtesy of a British boy band (more on that later). It was so good, that Google bought it. Now, deciding between Waze or Google Maps is a legitimate question. Here are some thoughts to help you choose. I hadn’t really used Waze that extensively before testing it for this article. Now, I won’t take a long drive or head out into a crowded commute without it. That’s because Waze is hyper-focused on serving as a navigational aide for drivers, while Maps is built for all sorts of mapping needs. The interface is optimized for a quick glance and doesn’t get cluttered with anything non-essential. Waze is quick to alert you to traffic hazards such as accidents, items in the road, and law enforcement activity. And for when you’re out of town, it’s incredibly useful to have the speed limit right on the screen. Your speed is there as well, complete with a red font when you’re going over the limit. Waze will alert you to upcoming road hazards and navigate you around traffic jams. 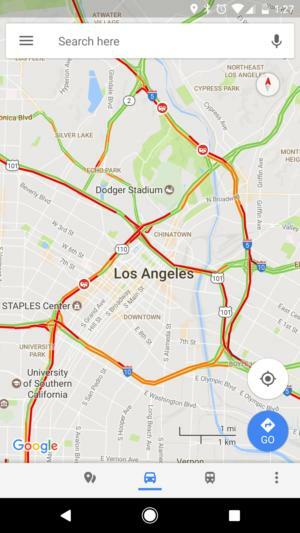 That real-time data contributed from the Waze community was probably reason enough to get Google to pull the trigger on the acquisition. 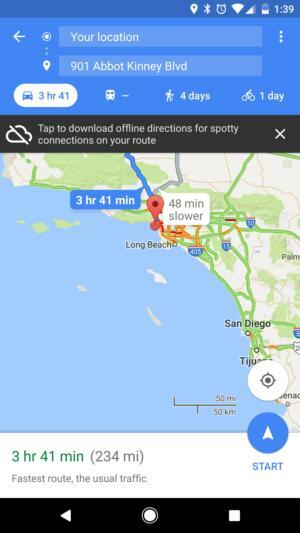 In fact, from time to time you’ll see alerts in your Google feed or Google Maps that come from straight from Waze. Another surprisingly useful feature was Spotify integration. Once you connect your Spotify account (it even works if you’re not a premium subscriber) you’ll get some suggested tunes for the drive without having to leave the app. Spotify can rock the jams while you face the daily commute. Yes, cynically it made me think that all Waze has done here is invent a slightly better version of radio. But having the button right there has been a pretty handy feature, and one that I now find myself using often. The other piece that really sets Waze apart is how much fun it is. If you don’t want the robo-girl voice directing you through the commute, you can opt for a boy band or any of a number of other voices. Let a boy band soothe you through your commute. Once you earn enough points through drive time and by reporting incidents, you can set a mood for others to see while you’re driving. 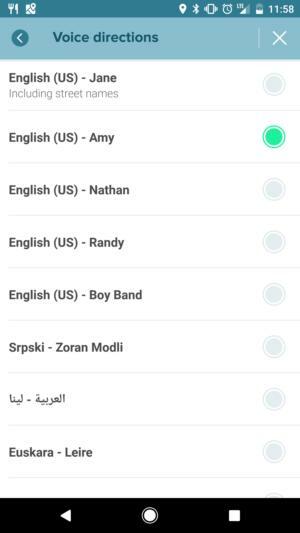 It’s all part of making Waze have a lot more personality and social fun than just dry mapping programs. 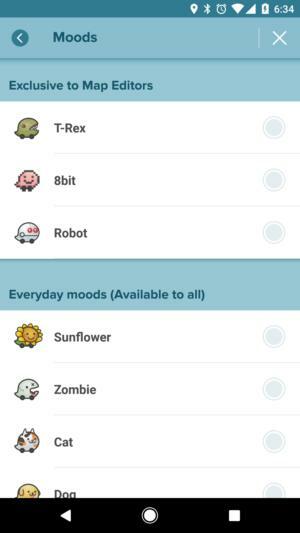 Moods are one of the many, playful ways that Waze tries to make driving fun. The idea of being social while driving may seem counterintuitive (remember, keep your eyes on the road), but it’s part of what makes Waze worthwhile, and the interface is optimized to let you report road conditions with a minimal number of taps. For something as fluid as traffic, the best information comes from those on the road. The only drawback is all those advertisements, which pop up when you come to a stop. That screen real estate is too valuable to not be used for advertising. Because Waze is best used running in drive mode, it’s a logical move to place ads when you’re at a stoplight. Although it’s another reminder that advertising is pretty much everywhere these days. When I'm not in my car, I still find Google Maps to be the more comprehensive option. It’s obviously still the king of mapping software, with extensive details that make it essential for exploring the globe. If you want to look inside a building, use StreetView, or find out how busy a place is, it’s still the way to go. Google’s big push with maps has been to turn it into a full-blown travel and city recommendation engine. You can now get suggestions for restaurants and leave reviews as part of the Local Guides program. 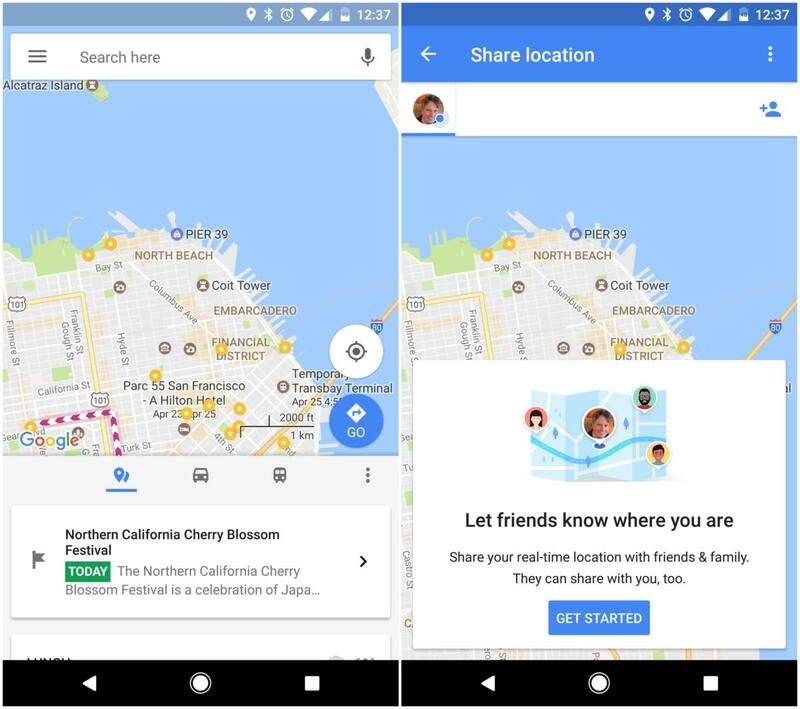 And since it now handles location sharing, Maps has evolved to be a real lifestyle and all-around “help you get around” aide than strictly a navigational tool. Google Maps can do it all, from finding you lunch to sharing real-time location with friends and family. This isn’t to say that Maps isn’t a good companion for navigation and traffic. It does the latter particularly well, giving you an eagle’s eye view of the situation. More than once it’s convinced me to stop off for a coffee or maybe even a matinee if I have the time instead of sitting in a freeway that’s turned into a parking lot. Seriously, just stay home instead. Waze and Google Maps differ most sharply when it comes to how they approach navigating traffic, which makes this the most crucial thing for you to think about if you’re trying to decide which to make your daily driving companion. With Google Maps the navigation is still a strong point, especially if you're not driving. If you want to get from here to there on public transit, walking, or biking, Maps is the way to go. You can download the directions offline to avoid issues with spotty connections. Saving a trip offline can be invaluable can ensure that no connection issues will turn into a problem. Additionally, the navigation interface is going to be comfortable after years of use. There are nice features dropped in like previewing your route, a satellite view, and the ability to share the trip with others. You can also save your parking spot and use it to help you find a place to stop along the way. 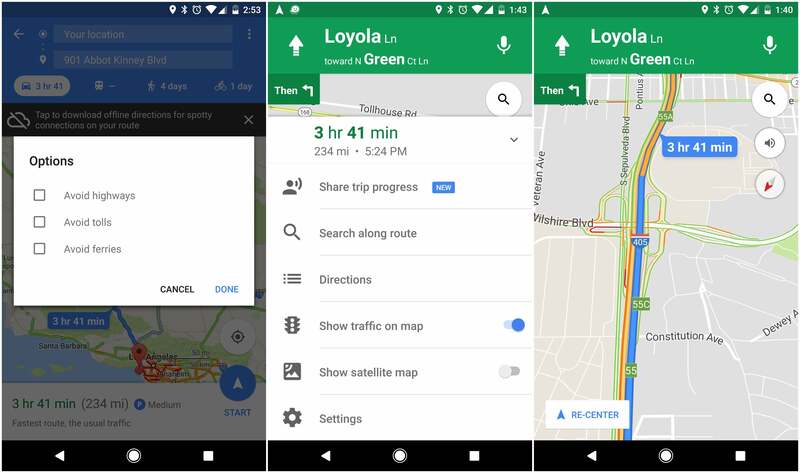 The new features come rapidly, so you really can’t go wrong by going with Google Maps. You won’t be lacking for features if you dive into everything that Google Maps can do. Yet the focused-on-driving experience is also one of the reasons that Waze has caught on so well. It strips everything else away to focus on what’s essential: helping you survive traffic. It has a fun and easy-to-navigate interface that lets you see what you need right away. I also like how you can quickly add in a stop to your upcoming trip and get clear visibility of points of interest along the way. 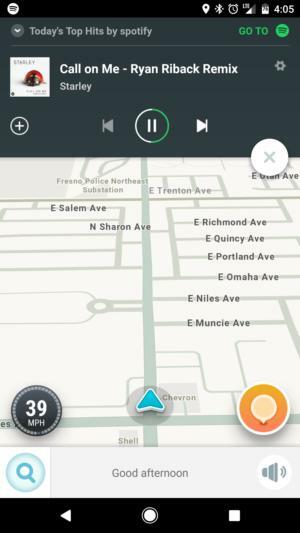 Waze sticks to essential features and wraps it in a fun interface. It’s easy to spot a gas station or places to eat (some of this is no doubt driven by Waze’s advertising capabilities). I’ve found when trying out Waze over the last few months you kind of have to let go and trust it. This was especially the case during a trip to southern California, where I felt like I was being routed through a real-life version of Mr. Toad’s Wild Ride. Waze more aggressively tries to find you the fastest route, so there might be more rapid darts on surface streets to avoid congestion. The upside in thinking about Google Maps vs. Waze is that it’s a good dilemma to have. You have two really good mapping solutions that Google has clearly committed to strengthening. If you’re new to Waze, give it a go for your daily commute or next road trip. It’s definitely different, but you may like how it tries to navigate you out of the traffic glut and has some fun along the way. There are lot of scenarios in which you can directly compare the two to see which is the right choice for your preferences. 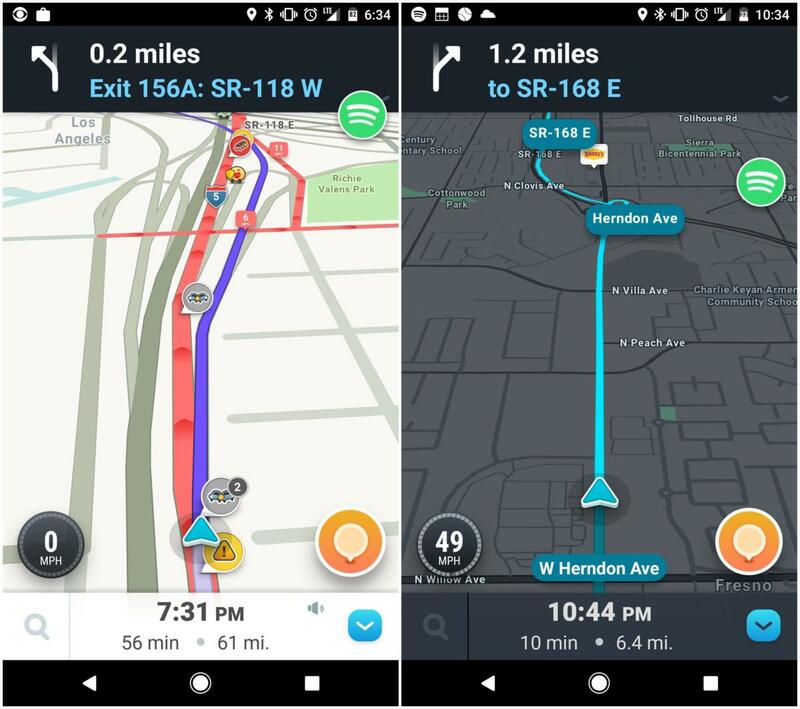 This comparison shows you the different approach that Waze and Google Maps take when it comes to navigation. Also, Google has indicated that Waze will remain independently run. For now. You never know when Google may decide that all of that data and the features of Waze should just be swallowed up inside of Google Maps. It’s difficult to imagine Google killing off Waze. It’s too good at what it does, and offers a superior navigation experience whose primary benefit is that it is focused solely on driving. So even if it evolves into Google Maps: Driving Edition, I imagine the best features are going to stick around. If you’re wondering how to choose between the two, my suggestion is to keep them both around for awhile and let them play to their strengths. It’s one of those situations where you really have to live with something to see if it’s right for you. As long as Google can use the data from both of them, there’s no harm in two mapping apps. It’s not like Google’s never had two of anything before.